Want it by Saturday 27th April? Order within 17 hours, 8 minutes and choose Royal Mail 24 Hour Delivery at checkout. 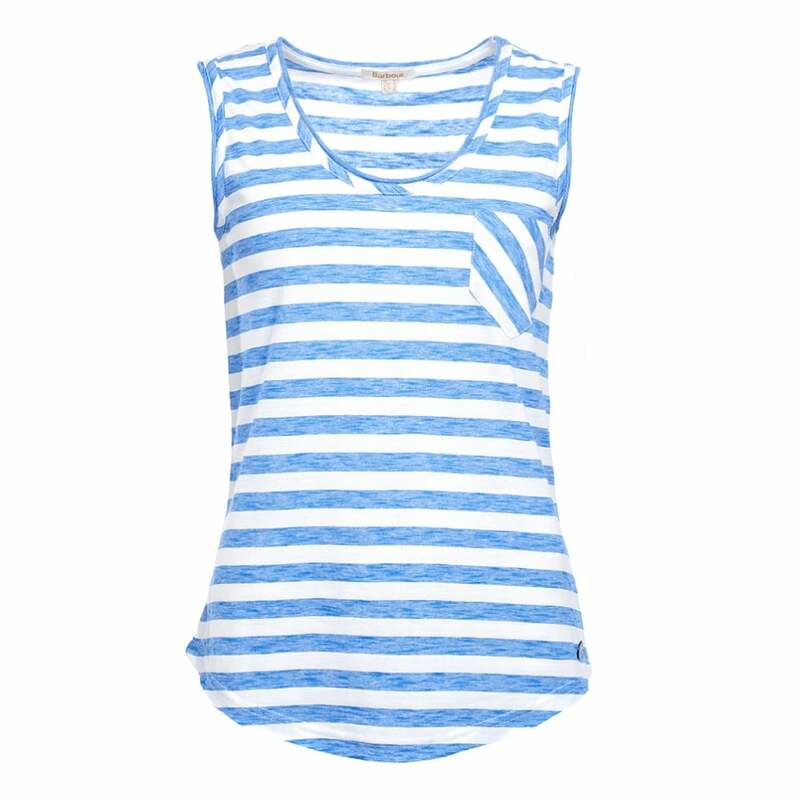 Perfect for Summer Days and coastal trips the Sleeveless Dene Vest from Barbour is ideal summer attire. The relaxed fit top is beautifully crafted from a cotton blend and features an on-trend nautical striped print. Finished with chest pocket detail and Barbour enamel sew on disc. Team with your favourite jeans or shorts for a cute casual day look!